WASHINGTON – More than six months after a U.S. Virgin Islands judge tossed out the controversial murder charges against ATF agent Will Clark, the agency appears in no rush to put agents back there. As a protest, ATF had withdrawn its agents from the Virgin Islands shortly after Clark had been charged with murder in 2008. He fatally shot his neighbor during a confrontation. No ATF agents have been assigned to the Virgin Islands since. ATF said Monday that it was committed to working with the government of the Virgin Islands to restore ATF’s presence in the territory, but to date, agents were still not assigned there. Clark eventually got off on the murder charges. After the trial had already gotten underway, Judge Edgar Ross tossed the case on a technicality, ruling in favor of a defense motion that proper procedure was not followed in identifying the body of shooting victim Marcus Sukow to the medical examiner. 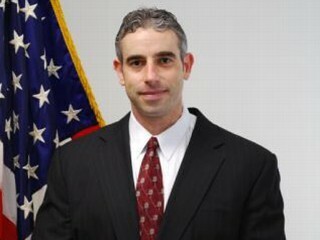 Prosecutors had accused ATF agent Clark of using excessive force during a confrontation with Sukow, who was involved in a in a domestic dispute that day. Clark claimed it was self defense and his agency, after conducting an internal review, found Clark responded properly. Posted: 5/9/11 at 1:25 PM under News Story.